​​This newsletter brings you the latest news about AccorHotels Group and its brands. On Friday April 6, 2018, ELLE Active, the forum that empowers working women, opened its sixth annual edition. 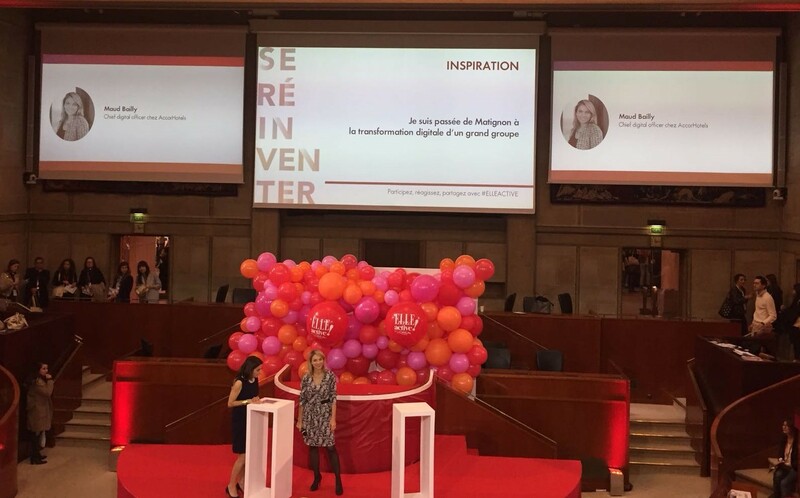 Among the many speakers was Maud Bailly, CDO of AccorHotels Group. After outlining her career path to date, she signed the “ELLE and HeForShe” charter, thereby confirming AccorHotels’ determination to fight sexism and its ongoing commitment to introducing concrete measures within the Group. In a group such as AccorHotels, where nearly 50% of the 250,000 employees are women, equal gender representation at all levels of the Company is of crucial importance and a guarantee of sustainable performance. Since 2015, the Group has been a member of HeForShe, a solidarity campaign initiated by UN Women. In 2012, AccorHotels created WAAG (Women at AccorHotels Generation), its own in-house network dedicated to equal gender representation. By partnering with the ELLE Active forum, AccorHotels supports equality in the workplace and professional fulfillment for women. 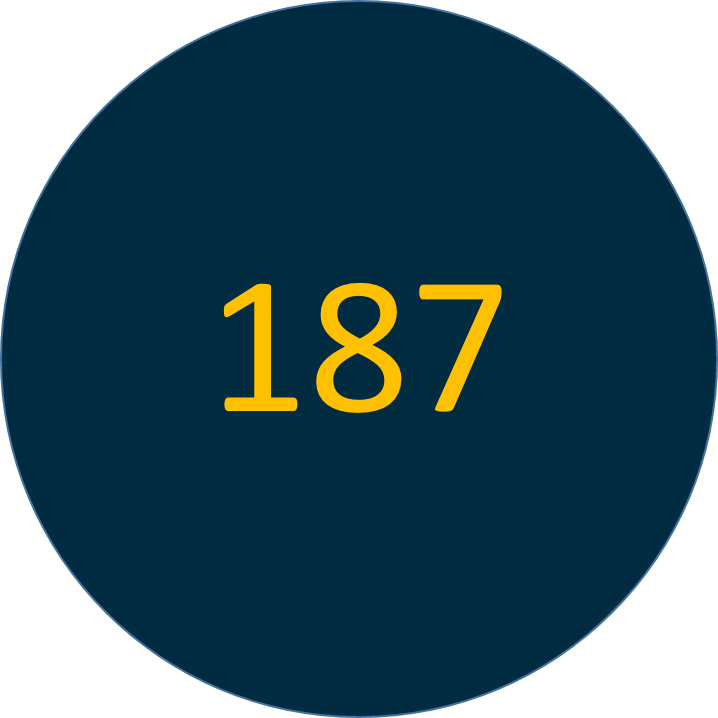 This is the number of applications received for the 8th edition of Take Off!, a contest pitting hundreds of students from all over the world against each other. Working in teams of up to three, contenders had until April 6 to present their vision of nomadic hospitality by proposing an innovative mobile hotel concept with a photomontage. And now, time to vote! The final of the competition will take place in Paris at the end of June and will be attended by Sébastien Bazin, Chairman and CEO of AccorHotels Group. 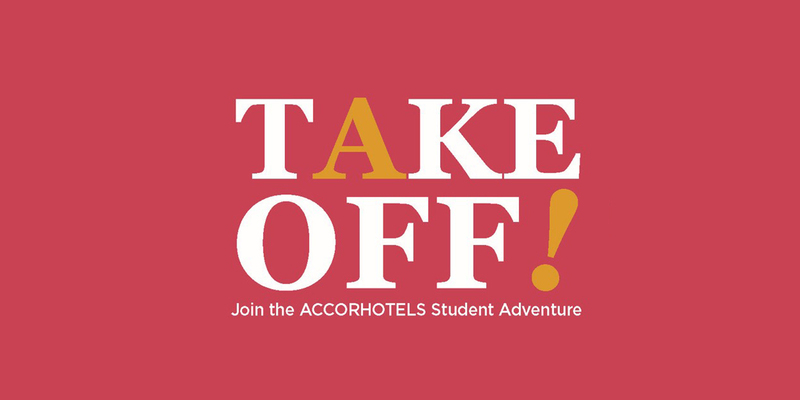 While waiting for the results, you can vote for your favorite projects at www.accorhotelstakeoff.com! You have until April 22 to cast your vote. We wish all participants the best of luck! MGallery, the network of boutique hotels whose interior design is inspired by their location, is partnering with the international ELLE Decoration network and becoming the official partner to the ELLE DECO International Design Awards (EDIDA) for the 2018 edition. This partnership illustrates the two brands’ shared commitment to design, lifestyle and travel. Launched in 2003, the EDIDA are awarded annually to the best designers of the moment during Milan’s Design Week. This ceremony, which has now become a key event in the world of design and interior decoration, brings together the 25 international editions of ELLE Decoration magazine and rewards a range of talents in 13 categories including Designer of the Year and Best Young Talent. With 90 boutique hotels in 24 countries, MGallery works with many designers and architects who create unique designs for the hotels inspired by the history of their location. 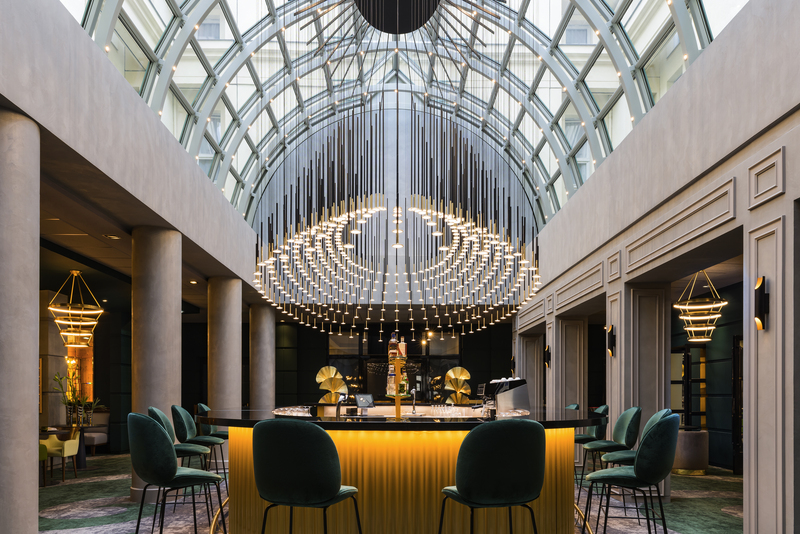 Jean-Philippe Nuel, Concrete Amsterdam, Ana Moussinet and the Sundokovy Sisters recently participated in the creation of several hotels: Molitor (Paris), INK Hotel (Amsterdam), Hotel de Paris (Odessa) and Hôtel Le Louis (Versailles). Through this partnership, MGallery is bolstering its position in the world of design, which is a key focus for the brand. 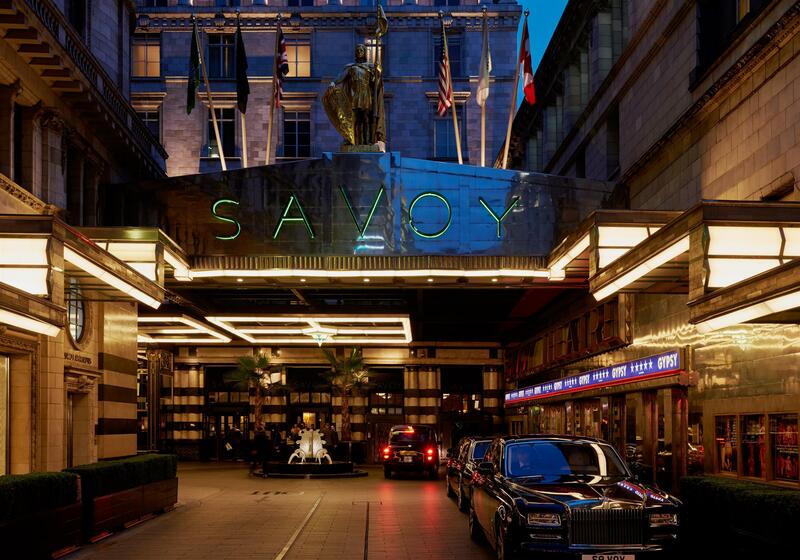 In honor of the National Gallery’s new Monet exhibition, and as part of its collaboration with the museum, The Savoy is launching the Ultimate Monet Experience. Throughout the duration of the exhibition Monet & Architecture, from April 9 through July 29, 2018, travelers have the opportunity to spend a night in The Savoy’s Claude Monet Suite, which offers a stunning view of the river that was such an inspiration to the artist. Monet painted some of his most famous works from his suite at The Savoy, where he enjoyed panoramic views over the River Thames with Charing Cross Bridge to the right and Waterloo Bridge to the left. Five of these original paintings are being exhibited in this National Gallery show, which is the first to take a look at Monet’s career through the buildings he painted in different cities around the world. The Ultimate Monet Experience includes a one-night stay in the Monet suite with breakfast, exclusive Monet-themed services, a dinner at Kaspar’s, a Monet Moments cocktail per person at the American Bar, a Monet-inspired historical tour of the hotel and two tickets to the National Gallery’s Monet & Architecture exhibition. For the occasion, the pastry chef has created exquisite and surprising limited-edition delicacies inspired by Monet’s art that guests can enjoy upon arrival in their room or suite. Bookings available from April 9 through July 29, starting at €2,630. Swissôtel has announced the opening of its first hotel in Medellín, Colombia. The hotel will have 230 guest rooms and will open its doors in the first half of 2020 under a franchise contract. This project will boost the development of the Swissôtel brand in the region, which now has three hotels including Swissôtel Quito and Swissôtel Lima. Swissôtel is one of the best-known Swiss brands in the world and offers contemporary hotels infused with the freshness and vitality of alpine energy, rooted in the tradition of Swiss hospitality. To date, Swissôtel has 30 hotels globally. In March 2018, Sofitel and Mercure opened their very first properties in Myanmar (formerly known as Burma). With the arrival of these two hotel brands, the Group is strengthening its presence and expanding its offering in the country. Sofitel Inle Lake Myat, which overlooks mountains and rice paddies, is ideal for travelers in search of peace and tranquility. It offers a unique experience, allowing guests to learn about the lifestyle and culture of Myanmar, beginning with access to the hotel by boat. The architecture and interior design feature Burmese themes inspired by traditional villages – the mixture of bamboo, rattan and silk all take travelers back to the Burma of old. In 2015, Inle Lake was added to UNESCO’s World Network of Biosphere Reserves, which aims to guarantee environmental sustainability. The hotel will therefore be one of the last to open so close to the lakeshore. In the country’s southern region, Mercure has opened a property in the city of Yangon, celebrated for its rich culture, historical heritage and distinctive architecture. Mercure Yangon Kaba Aye is located halfway between the international airport and cultural and historical sites, making it easy for visitors to immerse themselves in Burmese culture. The hotel’s interiors feature natural materials such as wood as well as colors representative of Burmese art. These esthetic codes anchor the property firmly in its location, a value prized by the Mercure brand. The 183 spacious and ideally appointed guest rooms and suites offer families all the space they need for short or long stays. The restaurant Mi Casa offers dining options combining local and international flavors in a buffet set-up. 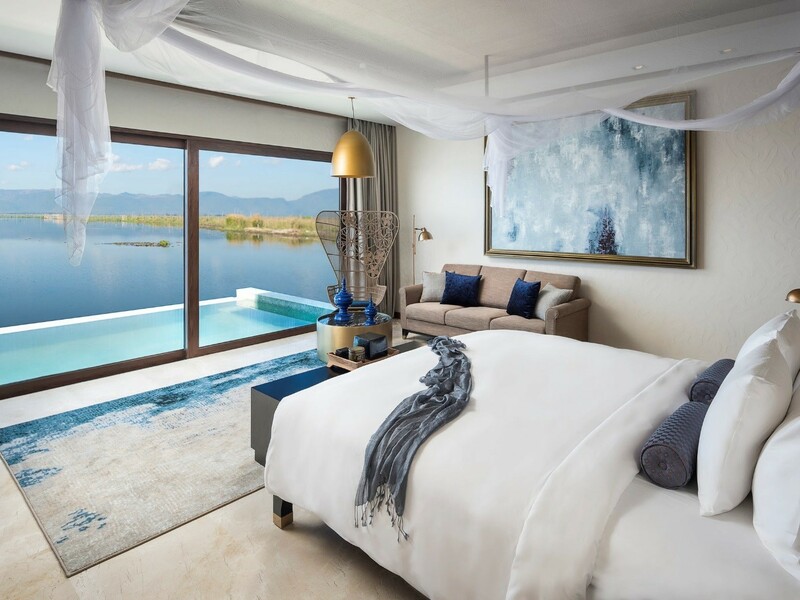 These two new hotels complement the Group’s network in the country, which already boasts six properties in Myanmar, including MGallery Lake Garden Nay Pyi Taw, Novotel Inle Lake Myat Min, Novotel Yangon Max and ibis Styles Yangon. AccorHotels Group is continuing its expansion in Latin America in 2018. The first quarter was marked by the opening of a new hotel complex in the City of Sorocaba, Brazil. This duo is ideally suited to all budgets and travelers in search of different experiences. In addition to a comprehensive range that has something to offer every type of traveler, the ibis budget & Novotel duo is located in one of the city’s most sought-after districts, near major financial centers and entertainment hubs. Novotel Sorocaba has 100 spacious and modern guest rooms, each with the capacity to accommodate up to 4 people. Every room is equipped to meet the needs of its guests, with a television, a mini-bar, a secure safe, and large closets. To complete the Novotel experience, the hotel has a Gourmet Bar where visitors can enjoy an exquisite dish or sip an exotic drink. To meet the needs of business travelers, the hotel also has 7 meeting rooms with a capacity of up to 100 available for reservation. 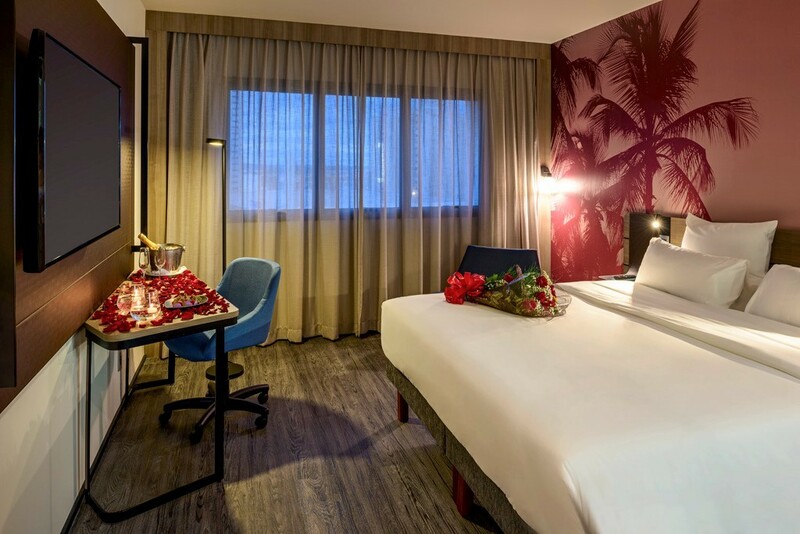 This budget-friendly solution in no way neglects comfort: ibis budget is fitted with the brand’s latest concepts, in particular rooms that have been redesigned to instill a warmer and more relaxing mood. Raw materials such as wood and concrete combined with dynamic colors also create a comforting and positive ambiance. The hotel’s 100 guest rooms each have a private bathroom and an Internet connection. In April 2018, the AccorHotels Group’s design-focused budget brand expanded in Bangkok with the opening of a totally new property. The hotel has everything guests need for a successful stay. Its location near international convention and exhibition centers and its close proximity to the city’s vibrant districts make it ideal for both business and leisure travelers. The hotel’s meticulously designed interior decoration creates an ambiance that is both warm and elegant, due in particular to the use of materials and colors that combine tradition with modernity. The hotel has 255 spacious and comfortable guest rooms. Each room has a Sweet Bed by Ibis Styles as well as other amenities that are essential for a quality experience: a 109-cm LCD television, a mini-bar and a secure safe. The Streats Bar offers a range of hot beverages and cocktails as well as light meals. 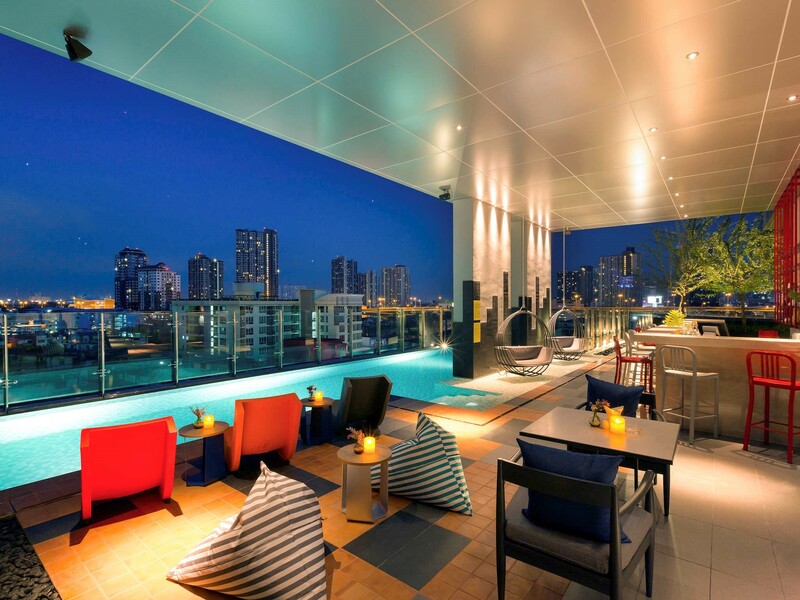 The wow factor is its very special vantage point, overlooking the hotel’s pool and offering breathtaking views of Bangkok.